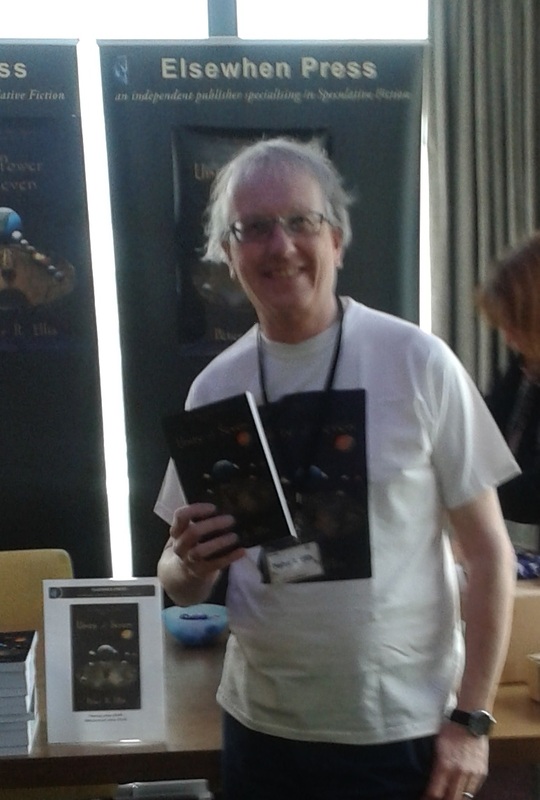 This is where you can find out about my SF&F writing, in particular the September Weekes stories. Now available as a paperback and e-book! 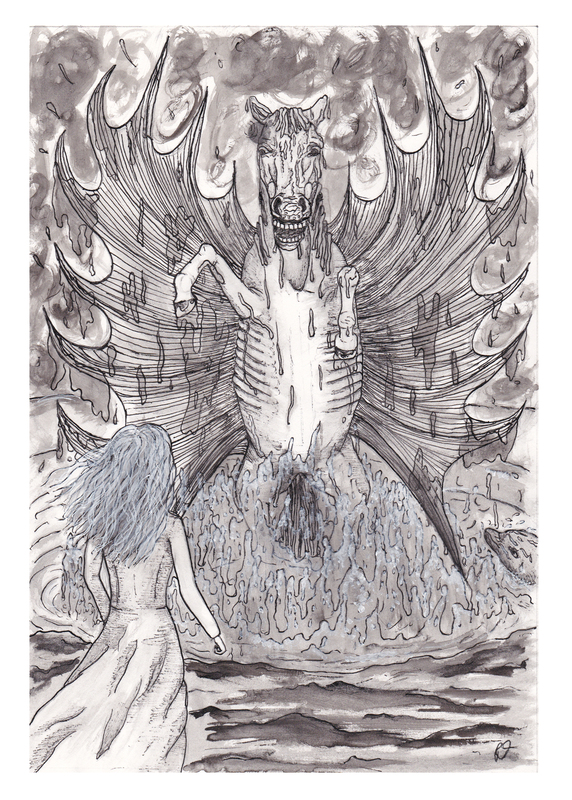 Set in 1680s London and Wales, a tale of good versus evil, of alchemy and “modern” science, of familiar mythical creatures given a new look, and Welsh myths. A vision of September by my niece-in-law. The first of many perhaps. 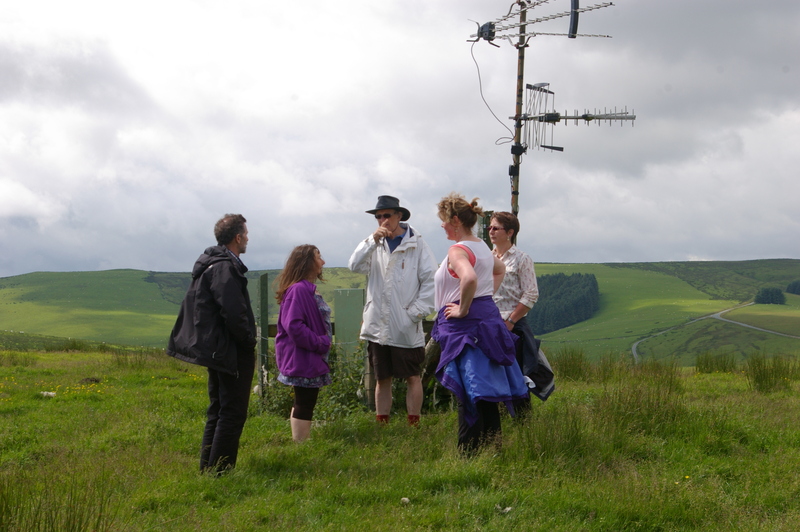 A small but interested group joined us at The Star, Dylife. 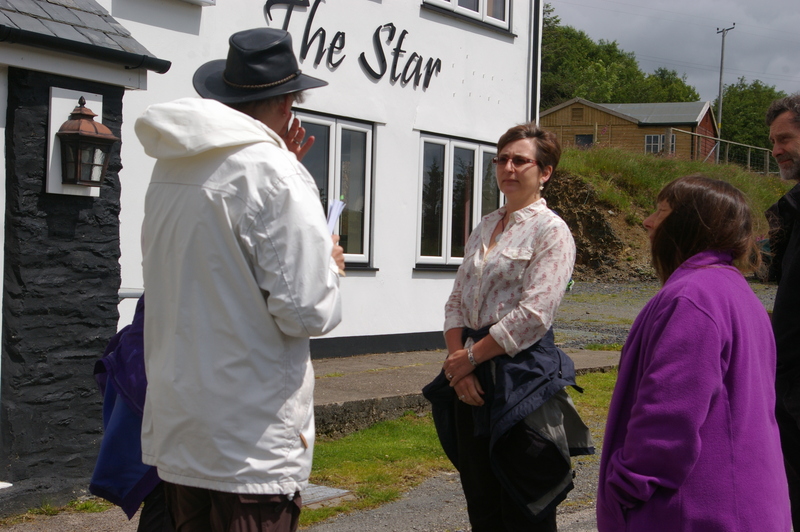 After coffee and gorgeous bara brith and banana bread at The Star we set off. It was dry, just, but cloudy. 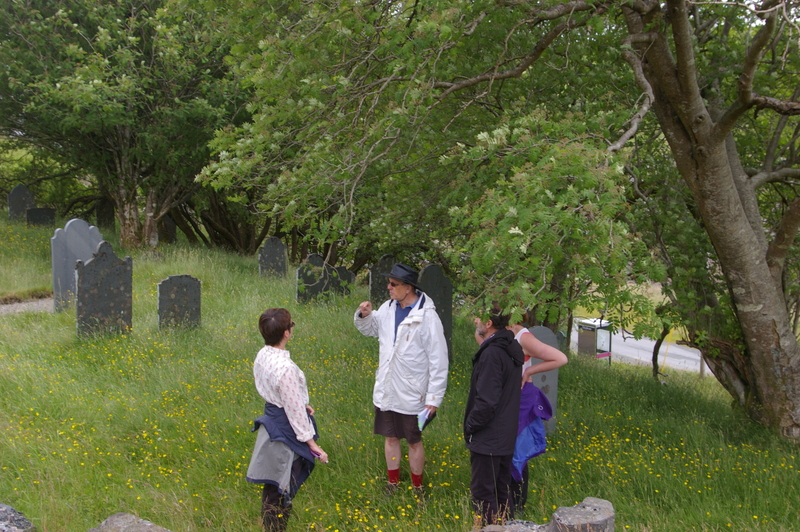 First we had a look around the graveyard then crossed the road to the main workings where we saw the site where Gwemda’s family lived and dressed the ore. After a detour to look at the remains of the C19th waterwheel pit (not mentioned in the book) we went on to the mine shaft where September, under the influence of Malice, seeks the dark and attacks Gwenda’s older sister. 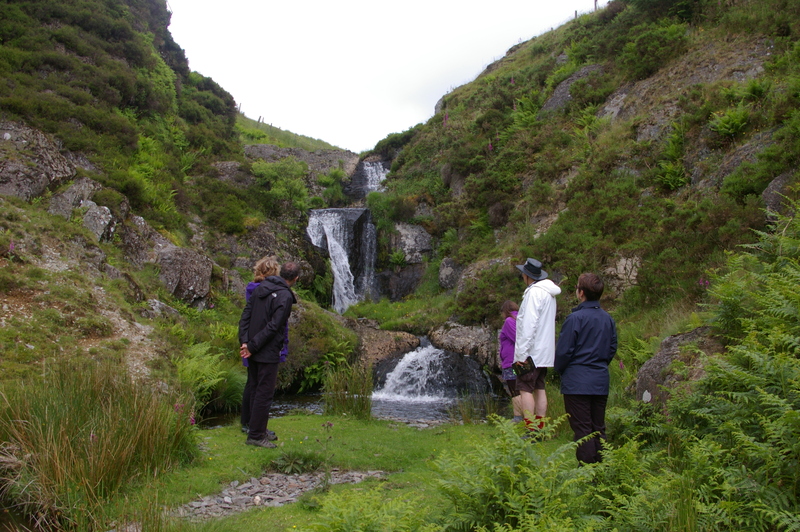 Then we followed the meandering stream to the grotto and triple waterfall. After the rain we’ve had in the last few weeks it was in full flow. That was where September met Cyfaill for the first time. We headed back to the Star for lunch and afterwards, we walked up the path to the ridge where this world and the world of Gwlad meet. 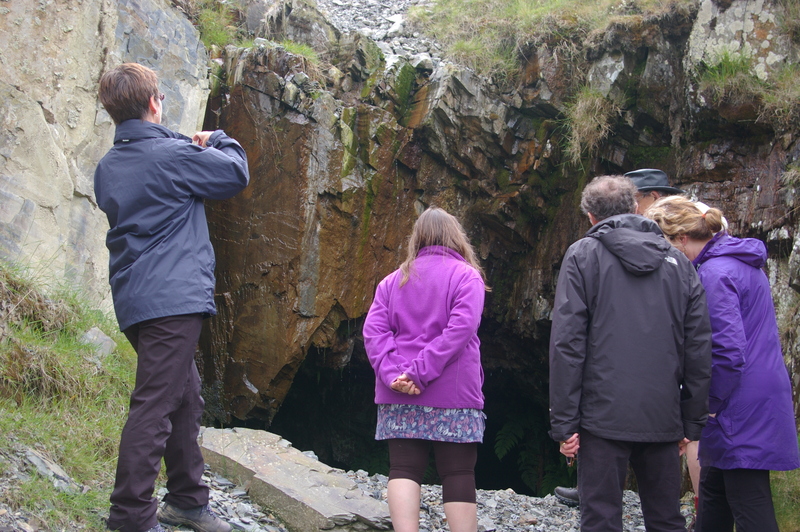 I talked about the background to the story, the history of the mines at Dylife and read short pieces from Uity of Seven. Seventh Child, volume 1 in the Evil Above the Stars trilogy, was a finalist in the 2015 Wishing Shelf Awards for teenage fiction. Go to http://www.thewsa.co.uk/finalists2015/ to find out more. 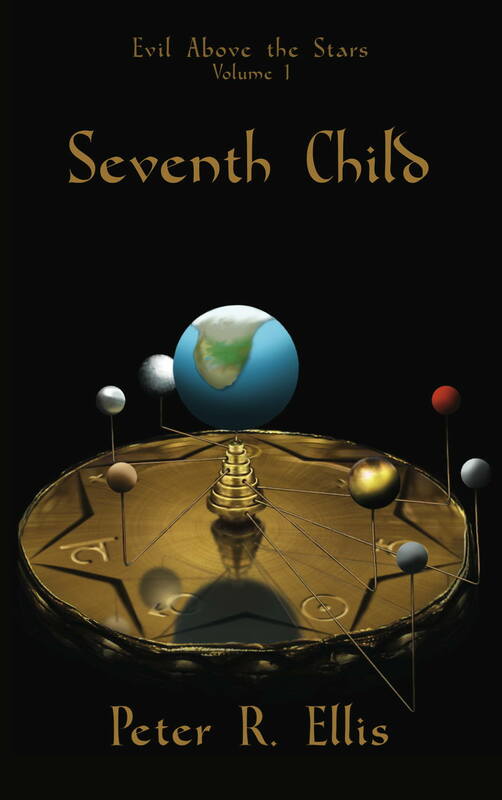 Thanks to Elsewhen Press for submitting Seventh Child for the award. 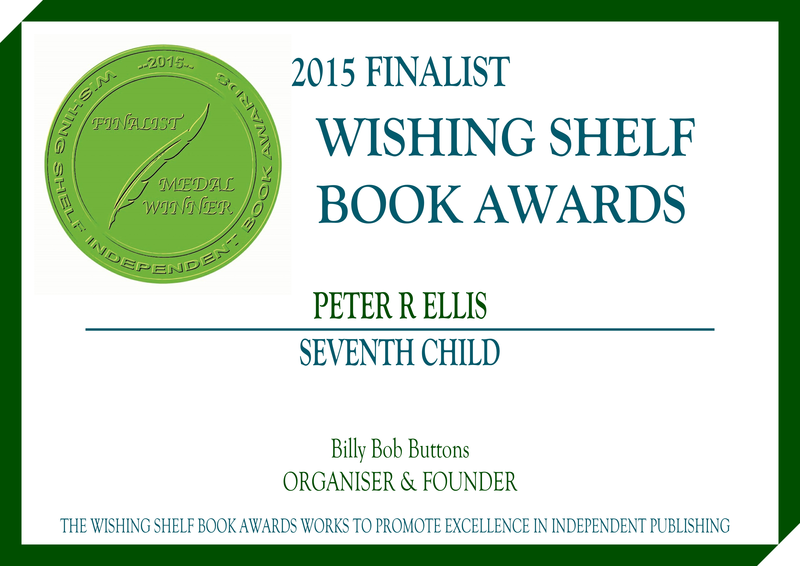 The Wishing Shelf Awards were set up for books published by small publishers and self-publishing authors. I have a short story, In the Bleak Long Winter, the Elsewhen Press anthology Existence is Elsewhen, available from booksellers and Elsewhen Press. was launched at Mancunicon in March. Many thanks to everyone who attended and to Elsewhen Press for organising it. The view from the 22nd floor was pretty awe inspiring too. Unity of Seven completes the Evil Above the Stars trilogy. 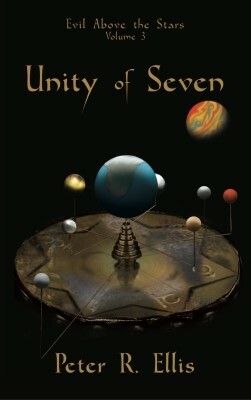 Unity of Seven is available in paperback, published by Elsewhen Press. There’s a great review here! 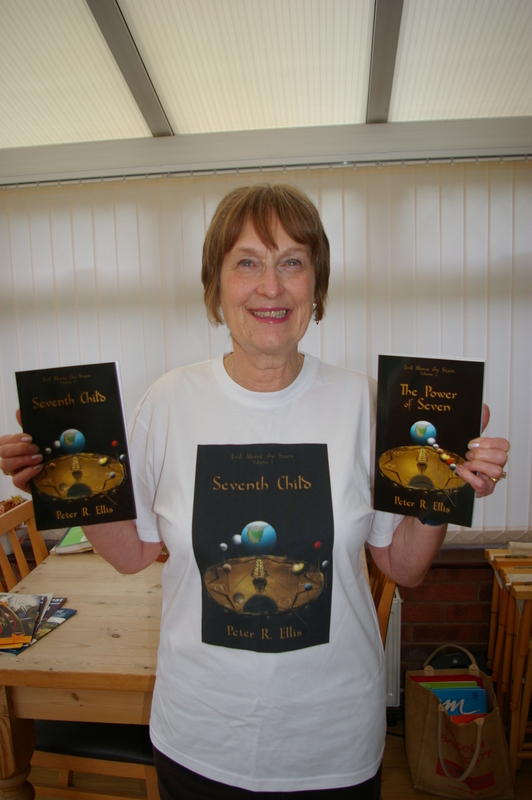 Alison with copies of both books and modelling the Seventh Child t-shirt. EAtS features September Weekes a teenage girl, with problems and the task of saving a universe from evil. 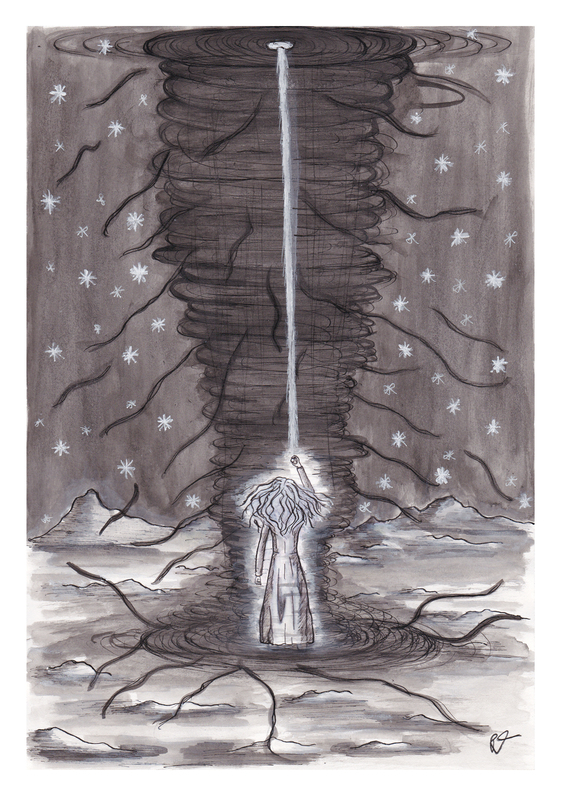 It’s not her universe, but another which is built on pre-Copernican science and Celtic mythology. Volume 1, Seventh Child sees September Weekes summoned to a strange world where she is given a task and responsibility that she has no idea how she can perform. She faces the evil of the Malevolence and mythical monsters with only the mysterious Maengolauseren to help her. 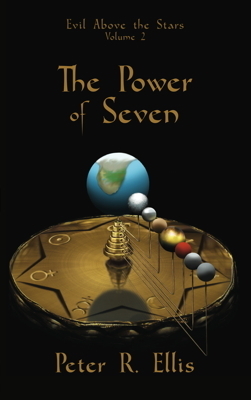 Volume 2, Power of Seven carries on where Seventh Child ends with September having to learn how she is to complete her task and return home. She finds she has a surprising opponent in her struggle and has to find a companion in order to succeed. Volume 3, Unity of Seven concludes the trilogy .September is back home but troubled about her experiences on Gwlad and the fate of Malice. She embarks on a quest to find the answers to her questions and fears that lead her to the ultimate confrontation with the Malevolence. Fantastic fantasy story, Peter. loved your words last night. Thanks Jill. Just need to start selling some copies now.